Helen was preceded in death by her father Joseph Mathews and her mother Margaret (Kritsberg) Mathews, brothers Thomas Mathews and Harry Mathews. She is survived by her brother William Mathews and her four loving children, Virginia Hanna (Jeffrey Hanna), Margaret Warren, Patricia Eger (James Eger), Allen Rolli (Nancy Rolli). Helen was also the devoted grandmother of seven grand children (Deborah Ranicar, David Groves, Monica Reed, Kenneth Reed, Christopher Fragola, Meridith Richter, Kimberly Croteau, and great grandmother of nine, Justin Ranicar, Benjamin Ranicar, Lucas Ranicar, Kathryn Reed, Natalie Reed, Landon Richter, Caleb Richter, Bella Fragola, and Hunter Croteau. 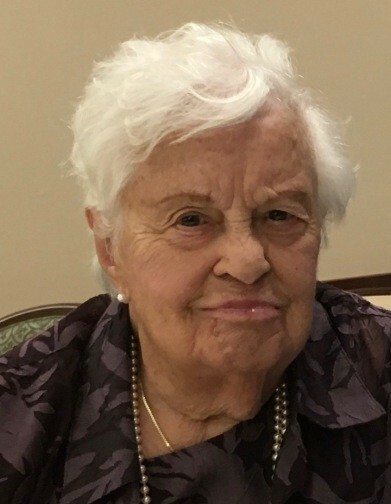 A Catholic service in her memory will be held at Saint Mary’s Church / Holy Trinity Church on 429 East Allen Street in Hudson, New York on January 26, 2019 at 11:30 am.